When my friends Chris and Rachel Larsen invited me to go along with them to meet someone who had a ranch deep in Zapatista country near Teopisca, Chiapas I was intrigued. I had driven through Zapatista country; I had even been delayed by a Zapatista roadblock, but there encounters had all been just passing through on my way to somewhere. I wondered if spending a little time deep in the territory would feel different. So, off we went; the Larsen’s and their two girls, their friend Lynn and her three boys and me. Ok, so it wasn’t exactly an expeditionary level force but I have to say, those kids are pretty tough. Robin Shields, owner of Rancho La Escondida met us in Teopisca, Chiapas with his four-wheel drive Volkswagen pickup. Robin is an ebullient, animated person that seems to be comfortable in almost any situation and talking about any subject. Robin is the son of a US Embassy official and had traveled around the world four times before he was twenty. Several years ago he purchased the 100-acres that make up Rancho La Escondida after visiting what he considers to be one of the most beautiful places in the world because it, “spoke to him.” After an extremely rocky start that included death threats, “witches” putting curses on his and the poisoning of pets and livestock Robin has finally been embraced by the local Zapatista community. 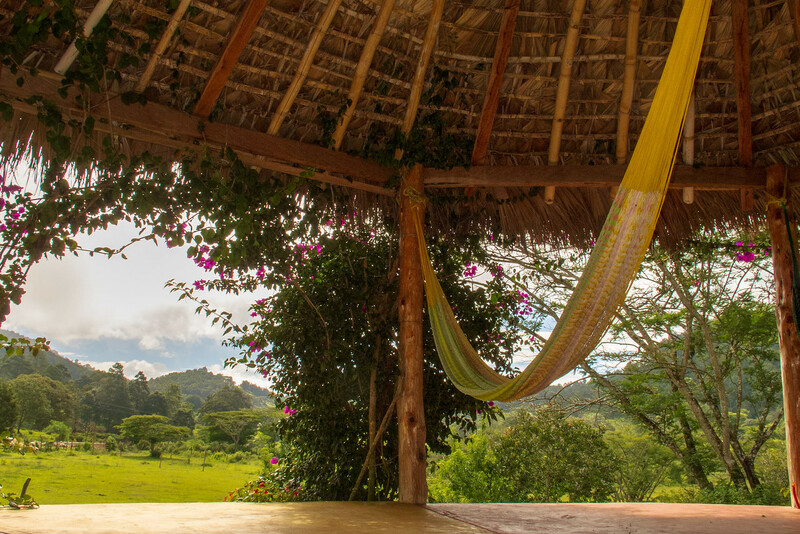 After all, a basic tenant of Zapatista belief is that those who work the land own the land and Robin certainly has worked the land, turning it from thorny underbrush into a mostly self-sufficient EcoPark. What was once his enemies have been turned to friends and protectors. This is certainly evident by the enthusiastic greetings he receives and the hard work put in by his employees. forests. It is a quiet place where you can hear choirs of rare birds singing, streams flowing and the interaction of domestic animals. There are stables, poultry coops, there is even a milpa set in a sumidero (low spot) to take advantage of a tiny microclimate. I can understand why Robin was so attracted to Rancho La Escondida and can ALMOST understand it speaking to you. 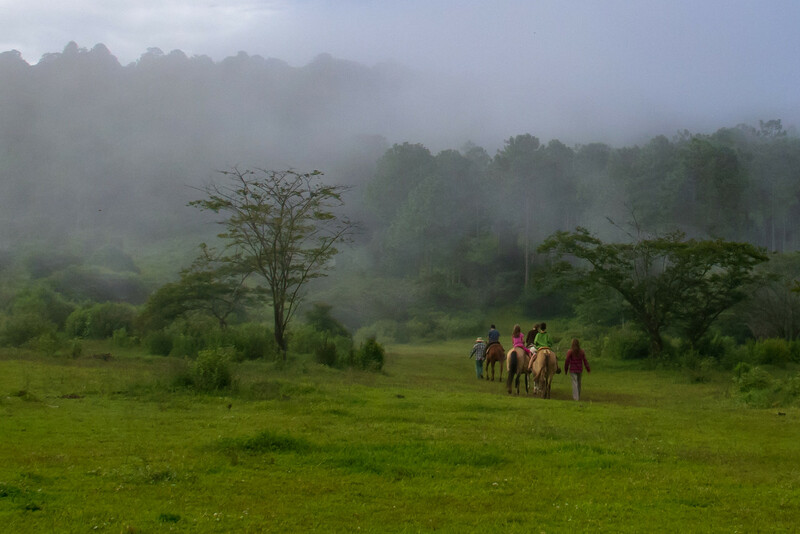 The kids rode horses and we hiked along with them along cloud shrouded hillsides, rich earthy smelling valleys up to a mirador (overlook) where we could just make out some mountains in Guatemala. We all had a wonderful evening. The kids played bocce ball and threw Luna Discs while the adults discussed everything from the trivial to philosophical. We talked of future travels, past experiences and waxed poetic about the world, relationships, politics and problems. We had a delicious meal and some wine. Later Robin made a pot of Chupa Miel (Salvia Divinorum) tea, an ancient Mayan herbal medicine, which is supposed to raise energy levels and impart a feeling of calm euphoria. Frankly I didn’t feel euphoria but the tea had a tasty minty flavor that was naturally calming. It was one of those laid-back evenings that helps ground you, brings everyone closer together and reminds you that there are more important things in the world than physical possessions and the illusion of security. It also made you appreciate the land from a metaphysical standpoint and closer to those who appreciate the sacredness of it and its ability to nurture those who nurture it. I retired to my hammock early. There was a crisp breeze blowing but my sleeping bag kept me warm. The Milky Way was so vivid it was almost as if you could use your hands to scoop up the stars. I slept like an infant and had wonderfully vivid and happy dreams. Even in paradise time marches on. Everyone was in good spirits and no one wanted to leave. In the morning we had coffee which had been grown on site and huevos rancheros made with organic duck eggs. We hiked a bit more while the kids played. We were curious about the Zapatistas and Robin volunteered to drive us to a nearby village as we were leaving. Less than a kilometer from where we were staying, sometime in the night, Zapatista rebels had taken over a nearby ranch that had been deforested by an absentee landlord. There was a huge banner declaring that the land has been reclaimed by the people and is not to be sold. 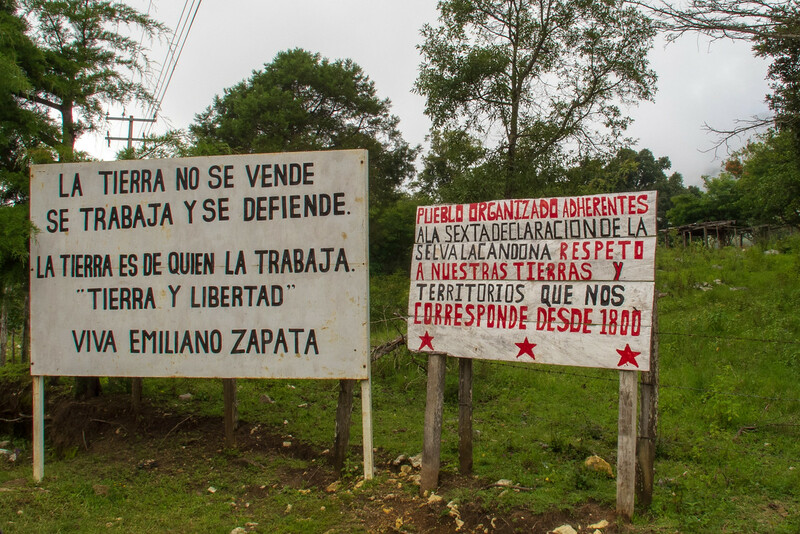 They also declared land and liberty and, “Viva Emiliano Zapata.” It was hard to believe while I was comfortably sleeping outdoors, nearby a group of brave people were fighting to maintain their dignity and preserve what they see as their rights. It seems that the war, although almost wholly unreported, continues to this day. thank you Jon! love and miss you! good wishes to you on your next trip to Thailand..